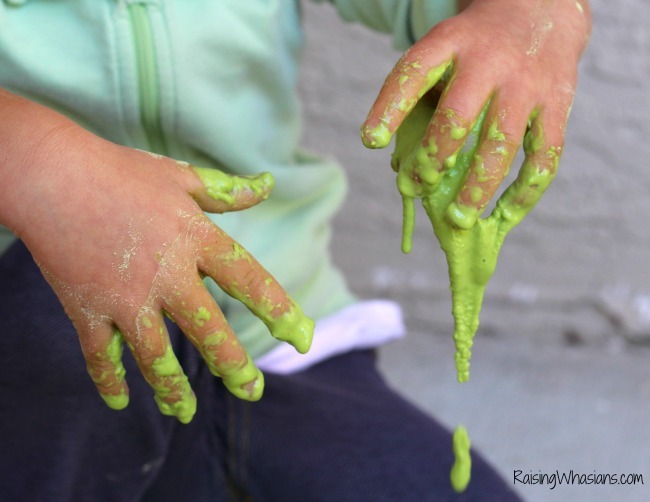 While I love the fun homemade slime recipes out there, they haven’t met my curious toddler yet. Still in the “oops I ate it” phase of her life, this girl can’t resist giving everything the taste test. Part pet, part daughter. Oh, the toddler years are fun, right?! So I needed a natural and toddler friendly recipe for an afternoon of St. Patrick’s Day inspired fun. 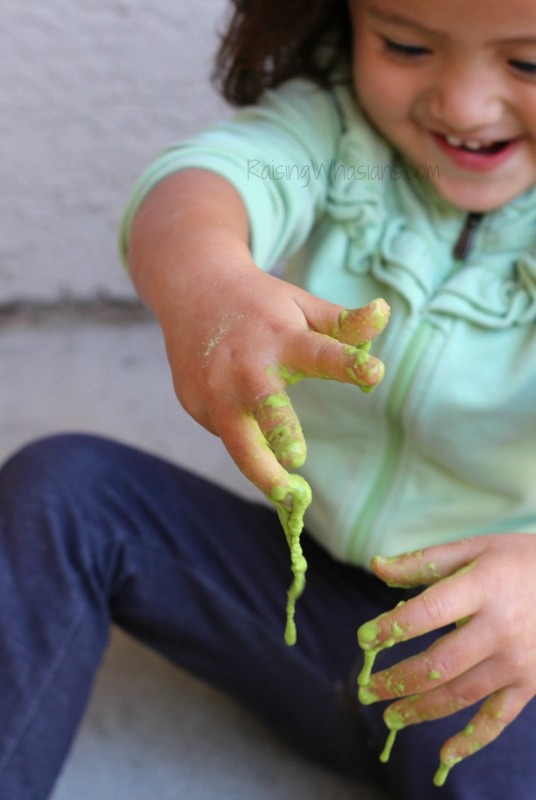 So it got me thinking to slime and how I can make an ooey gooey slime that is SAFE for all toddlers and allergy-friendly too. 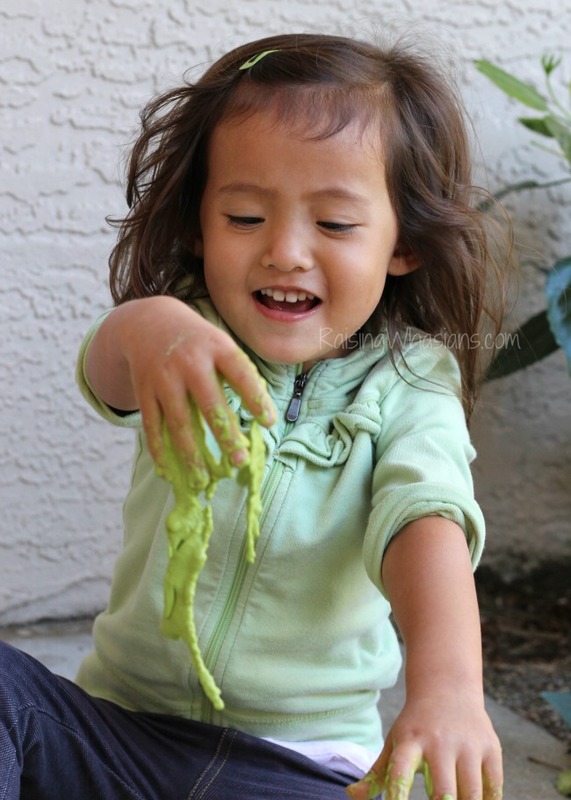 So find out to make your own natural green dye and St. Patrick’s Day inspired slime easily and in minutes…so you can get back to playtime! This recipe couldn’t be simpler. I did my best to keep those measurements down to a minimum so you can easily get your child in the kitchen with you! 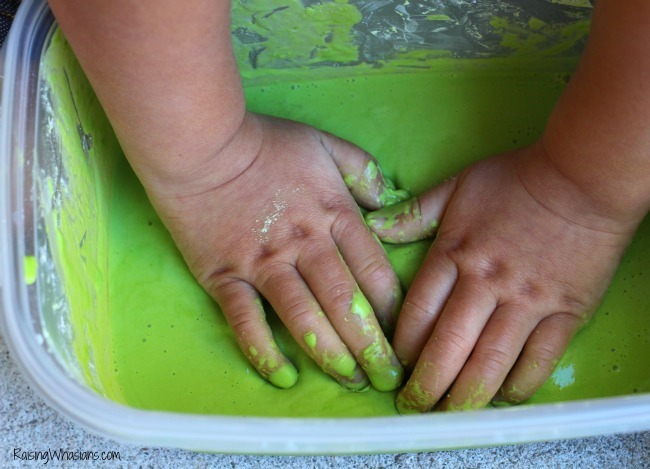 I mean what could be more fun than making your own slime to play with, right? In a large bowl, mix together the spinach mixture and the cornstarch together slowly, adding a little bit more water at a time until you get an evenly slimy mixture. Should have a watery sheen to it, but not be completely watery in texture. What? We’re already done? BOOM, fist bumps all around! 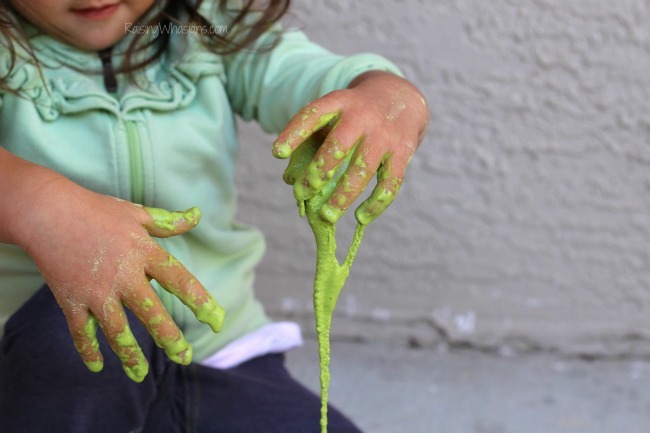 Enjoy squooshing, squishing and playing with St. Patrick’s Day inspired slime, all naturally made and safe for a FUN afternoon with your child! And while yes, it’s technically edible…your child may think twice about sticking the goo in their mouths after that first taste test. Just saying. But if we can somehow get that spinach to transfer by osmosis….I’m all for that. Need some more St. Patrick’s Day crafting inspiration? 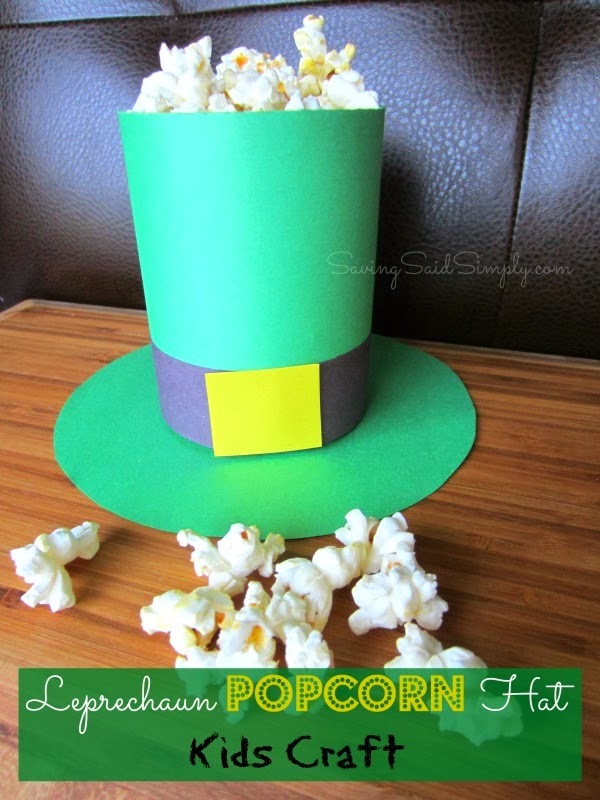 Check out these St. Patrick’s Day craft favorites for the season! 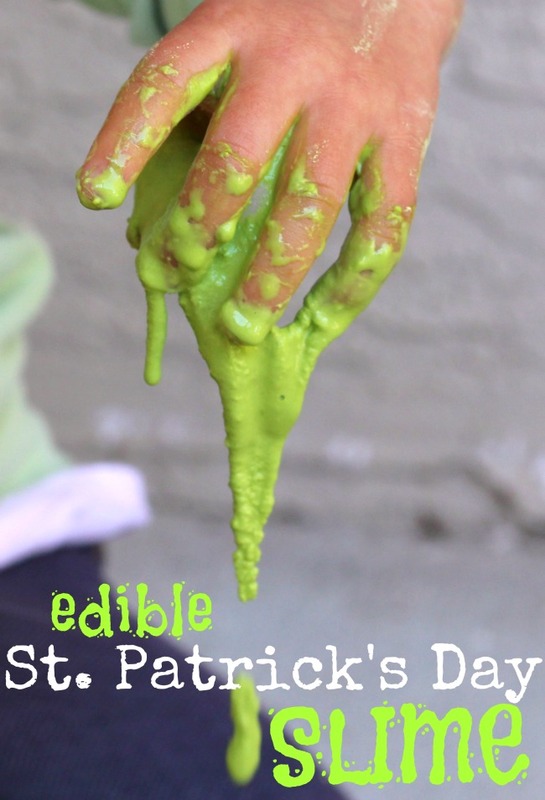 How would your child play with this edible St. Patrick’s Day slime? 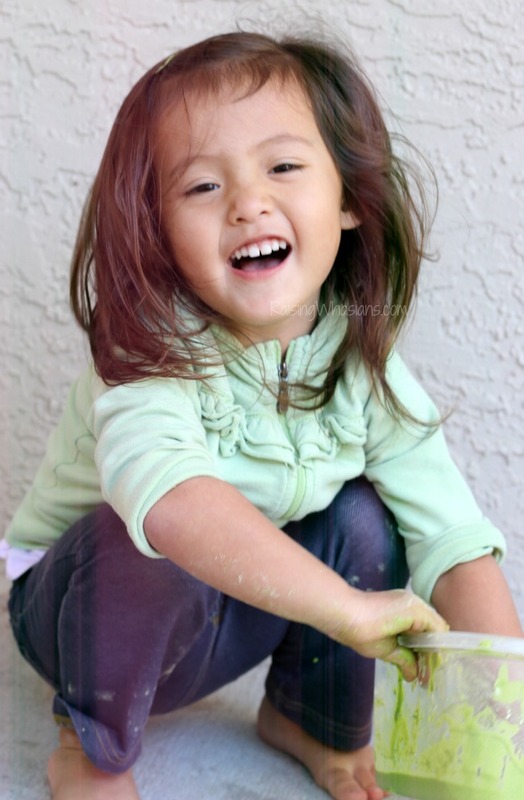 Be sure to follow Raising Whasians via Facebook, Twitter, Google, Instagram, Pinterest and YouTube for more of our family moments, kid crafts, recipes, and party inspiration! This looks like it would be fun. I will have to make this for my nephew. I like that it is edible in case he tries to eat it. What great fun! My kiddos would be all over this. You capture your little one’s joy so well and I love your creativity. What a cool project for the kids! It’s delightfully gross, and I love that you don’t have to worry about them ingesting it. Winner! This would be such a fun St. Patty’s Day activity! I love that it’s safe to eat, just in case. I have to save this recipe! 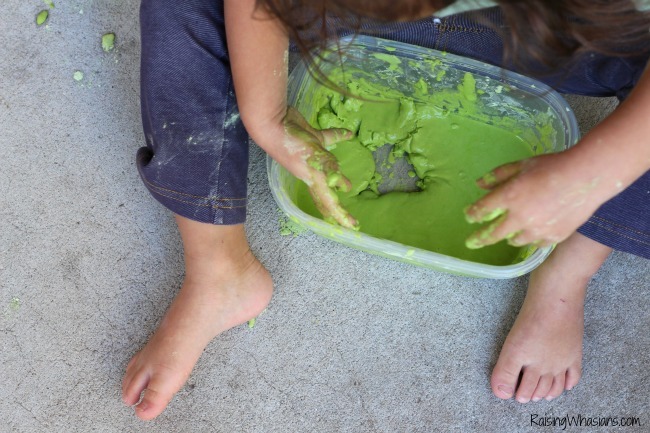 My nephew has been on a play dough kick lately and I think he would go nuts for this ooey gooey slime! The fact that it’s edible just makes it that much cooler! What a great way to celebrate the holiday. My sons would love this idea, especially my 7 year old. I will bookmark and pin this to make over the weekend! This is such a fun idea and I love the ingredients. I have to admit though I’m not sure I could actually eat it based on what it reminds me of visually. And I’ll leave it at that! Ha Toni, I didn’t even think of that!! OH yeah, that does look fun for the kids. I know my youngest would love it. I absolutely love this! My twins both are allergic to artificial coloring which makes the holidays especially tricky! I love that this is made with spinach!